Dorothy edited the Biography for William Jones, one of Mel's profiles. Did post clean-up of merged profile, took out duplicate information and headings. Dorothy certainly is a wonderful wikkitree, , she is every where you look on G2G helping member, she is so helpful to everyone, you can meet Dorothy on weekends chat the. Dorothy certainly is a active great member. Dorothy Barry is easily one of the finest WikiTreers ever. Dorothy is in every since of the word a Woderful WikiTreer. Yes you are Wonderful Dorothy! 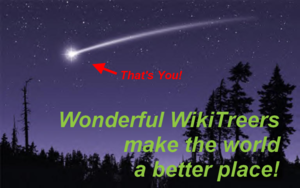 Thank you for all the work you do on WikiTree. Congratulations on being recognized for you excellent support to making a profile better.